Beelieve it or not – some pollens are antihistamines! Scared of pollen? Judging by the seasonal media scaremongering (“allergy season spells misery for millions” etc), you’re not the only one. But as with so many aspects of histamine, pollen has been demonised. It’s time to explore the upside of bee pollen. 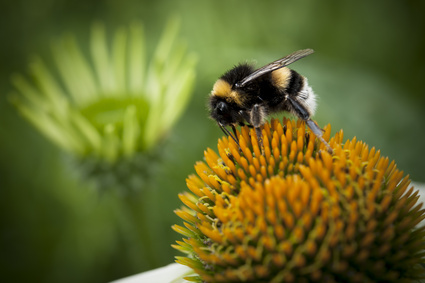 In animal studies bee pollen extract containing the flavinoid myricetin has been shown to inhibit IgE and IgG mediated allergic responses to egg white sensitised mice. It also exhibited anti-anaphylactic properties. For those of us with mast cell activation disorders, the good news is that another study showed that “Daily oral administration of BP to mice significantly reduced the cutaneous mast cell activation elicited by IgE and specific antigens,” in addition to inhibiting mast cell degranulation. Interestingly, and this is a favourite topic of mine, administering the active ingredient (genistein) on its own, did not have the same effect on allergic reactions and mast cell degranulation. I do always stress the importance of consuming the entire food rather than just the active ingredient. My friend Katerina recently referred me to studies on spirulina’s anti cancer effects also only manifesting in the use of the whole food rather than the isolated compound. If you’re in the Czech republic you should definitely read her incredible blog. Being a scientist, she has an amazing take on many issues relating to mast cell activation and histamine intolerance. I’ll be posting some of her articles in the coming weeks. Back to pollen…an interesting study shows that Brazillian propolis “clearly demonstrated that propolis may be effective in the relief of symptoms of allergic rhinitis through inhibition of histamine release.” Clearly more research is needed on this front – I’ll be doing more digging and updating this story as information becomes available. And finally, incredibly, in animal studies bee pollen has been shown to prevent pesticide toxicity in rats. I can’t remember the last time I tried bee pollen. The last time I was stung by a wasp wasn’t much fun, so I’m still working up the courage to dip into the bottle sitting here in front of me. There’s also a number of scary reports online pointing out (as I always do) that even though it has antihistaminic properties, it can still cause anaphylaxis in susceptible individuals. Coming up next week: an interview with the Hay House bestselling author of ‘How Your Mind Can Heal Your Body‘, Dr. David Hamilton and an exclusive web sneak peak of the allergy management technique in his book. After finishing his PhD in chemistry (biological and medicinal), David spent four years working in the pharmaceutical industry developing drugs for cardiovascular disease and cancer. He now writes books and lectures on the power of the placebo effect and how you can beat disease and chronic illness through visualisation and meditation. Read all about how I killed the histamine itch thanks to David’s great book. Don’t forget to sign up for my mailing list for this and other histamine related news. Please do remember that any supplement, even one with antihistamine properties, can cause an unpleasant or fatal reaction.